The rise of mobile devices has had a major impact on almost every field, and e-commerce is no exception. Although e-commerce purchases on conventional desktop systems might seem to be the preferred method, new market research figures tell a different story. Mobile e-commerce (or M-Commerce) has been picking up pace for some time. The growth has been especially strong in the past two years, with consumers shifting their purchase pattern to mobile e-commerce, as more people are getting connected via smartphones and tablets. 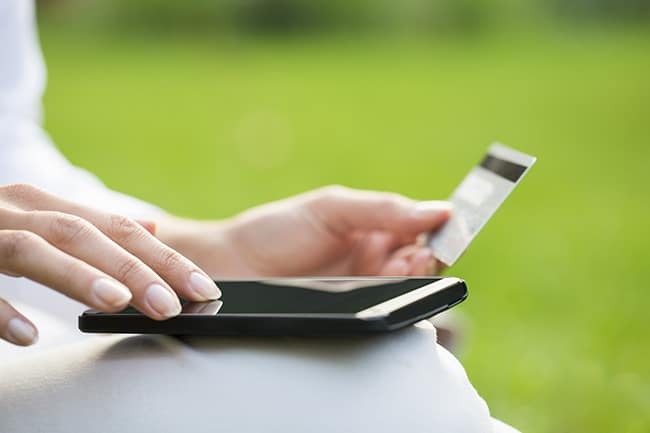 Words aren’t sufficient to express mobile e-commerce’s growth. So let’s dive into some statistics which illustrate how mobile e-commerce is nearly at a tipping point, dominating the whole e-commerce business sector and some others facts about the mobile ecommerce industry. According to Comscore, 78% of local business searches from mobile phones resulted in a purchase. For comparison, Comscore reports 61% of local business searches from desktop computers resulted in a purchase. 65% of US consumers have a smartphone, giving them access to hassle free mobile shopping. Mobile e-commerce will account for an estimated 30% of global e-commerce sales by the year 2018, up 15% from 2013. 7 out of every 10 consumers prefer using a mobile version of an e-commerce platform rather than downloading and installing a new app. Nearly 40% of all the purchases made during last year’s Black Friday was from mobile devices, which was an impressive increase from 25% in 2012. Consumers spend about 55% of their online shopping time on a mobile device, which is greater than that of a traditional desktop system. People are adopting to mobile web 8 times faster than they did back in the early 2000s. 63% of people are expected to do more shopping from their mobile devices in the next few years. 72% of tablet owners make a purchase from their tablet on a weekly basis. All these statistics sure seem impressive, but the question which stands now is how this data can be helpful to you, and why the growth of mobile e-commerce actually matters to you. If you are looking to grow your e-commerce business then your first priority as of now should be to have a nicely optimized mobile version of your website. As more and more people are entering into the mobile world, having a mobile version of your e-commerce website not only encourages more sales, but also leaves a positive impression on customers, as well as casual visitors who might soon turn into a customer. Also, if you can start to ride this wave of mobile e-commerce from right now, then it will take your business to a whole new level in the coming years. Now that you have seen how mobile ecommerce can boost your sales, it actually time to step into the game. The first step you can take is to create a mobile version of your current ecommerce website if you don’t have one already. The second step is to optimize it for the best performance and user experience on a mobile device, where the screen size is a limiting factor. The final step is to make the payment process smooth, without any glitches in the system, because this is the step where people hesitate the most when it comes to completing a transaction. According to research conducted by MoPowered, about 30% consumers cut off a transaction in the middle of the purchasing experience when the e-commerce cart is not optimized for mobile devices. Another study by Harris Interactive in this year found out that 41% consumers were unable to complete a purchase on their mobile devices because they found entering credit card details too difficult on a mobile device, and about 47% quit in the middle because the checkout process took too long. Therefore, it is necessary that the website should be built and optimized in such a way that the whole process —- from selecting a product to getting the order confirmation — works like a charm to provide a buttery smooth experience to the customer. The team at ‘corePHP’ helps people like you succeed in business every day, by providing the right tools and services for the best in mobile-first e-commerce. If you are seeking help in creating or optimizing your e-commerce powered website for an optimal shopping experience, no matter what device your customers are using, then we would be glad to help you out. Contact ‘corePHP’ today. This entry was posted in E-Commerce and tagged e-commerce, Mobile E-Commerce on December 11, 2014 by Rahul Chowdhury.